Amazon Echo vs. Echo Dot vs. Tap - How to Choose the Best Amazon Echo for You? Smart home technology devices were all the rage last year, and it doesn’t seem to be going away anytime soon. What sparked people’s curiosity as a novelty has soon turned into a home essential. The idea that you can manage nearly everything in your house using voice commands and a combination of connected devices is most certainly appealing, going by the massive surge in the sales of Amazon’s smart speakers, as well as the lightning-fast speed at which they seem to be expanding this product segment. With Amazon leading the way into the world of home technology with their series of smart speakers, users are discovering newer and better ways of managing everything from household chores to daily routines. Alexa’s becoming the new (wo)man Friday, and people seem to be using harnessing the power of technology to make their lives more convenient and better managed. These smart speakers are most definitely one of the most successful technological innovations of the decade, and users are finding newer and better ways of making the most of these devices. What started with a single device sparked off a revolution in the way people are using technology to manage their homes in a more effective way, and in a staggeringly short span of time, Amazon’s range has expanded to include five devices. Three of these come under the screen-less category, while the other two, newer devices have integrated display screens as well. The only problem with this expanded range is that it’s a lot more difficult to pick the right one, seeing as they all come packed with stellar features. To help you out with this, here’s a one-by-one comparison of three of the devices in the first category i.e. screenless smart speakers from Amazon. Here’s a closer look at the three smart speakers from Amazon - the Echo, Tap, and Dot models, in terms of their performance, features, and most importantly, pricing. See how they stack up against one another and pick the one that suits your needs the best. The Amazon Echo was the first smart speaker launched by Amazon in 2016. 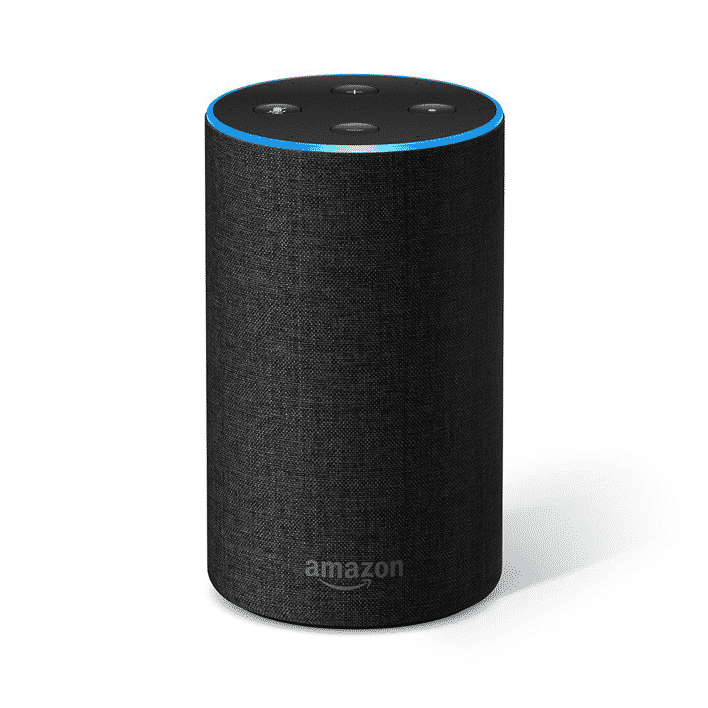 Powered by Alexa, Amazon’s very own digital assistant, it follows voice commands to carry out functions like controlling Wi-Fi enabled electronic devices, playing songs and responding to questions with contextual information. From the design of its first generation version which made it stand out distinctly, the current version in the market is much more discreet, thanks to its smaller size and aesthetic design. This version allows the device to blend in seamlessly with your home decor, with its beautiful finishes. The newer Echo is also smaller and wider than the older one, and this seems to be favored by the users since it offers stability on surfaces. In terms of utility, Amazon has integrated some elements of the Dot (featured below), replacing the volume dial on the old model with a pair of buttons. In addition, there’s also a mute button to stop Alexa from listening to everything, as well as a button that lets you activate Alexa without calling out the name. The Echo is really easy to set up - all you need to do is use the Alexa app, go to settings and set up the device. You’ll have to know what to ask Alexa, for which you’ll have to select specific skills from the app. Once you’ve figured the best of Alexa’s skills, this shouldn’t be too difficult either. 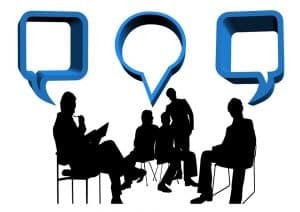 There are rankings of Alexa skills that you can refer to, and this is also really advisable since there are a lot of skills in the app, of which only a few are really necessary. From the time they first introduced it, Alexa has had a number of updates in terms of new skills and tasks, along with enhanced voice recognition and understanding. Once you’ve really modified the Echo in terms of skills (the app should help you with this too), you’ll be able to do everything with a single voice command - be it setting a timer, asking for the news, playing a song, even asking Alexa to tell you a joke. In terms of sound quality too, the Echo delivers well. Alexa responds to your commands in a crisp, clear voice, and the seven-mic feature is particularly good at detecting voice commands, in fact, a bit too good, so you might want to consider using the mute button at times. This excellent voice output also lends itself to tasks like playing music or reading aloud, which means you won’t have to strain your ears to listen, or hover right above the device so Alexa can hear you. A second generation Amazon Echo costs approx $99.99. (at the time of writing). If you’re really curious about trying the Amazon Echo, but discouraged by the $99 price tag, here’s the perfect solution for you. The Amazon Dot is essentially a smaller version of the Echo, priced at half the cost, but with more or less the same features that allow you to manage your day and home better. This slimmed-down version of the Echo is the same circumference, but a good 20 cm smaller in height, making it really discrete. The built-in speaker has been slimmed down too, allowing you to connect to any external speaker. Unlike the first generation Echo, the Dot has no volume ring; instead, the volume is controlled by two buttons right at the top, along with the mute and listen buttons. It has the same light ring that lights up to let you know Alexa is listening, which means a lot of features are pretty much the same as compared to the second-generation Echo. This device has a micro-USB port to charge the speaker, and a 3.5 mm port to plug in an external speaker. There are no fancy finishes or designs to this product, and you can choose between black or white. In any case, the small size of this device makes it pretty easy to hide it, so you won’t have to worry about choosing the right finish as you might have to with the larger Echo. Setting up the Echo Dot is the same as it would be with any Wi-Fi enabled speaker. You can easily connect it to any Wi-Fi connection by telling Alexa the details. The more important (and slightly disappointing) next part of the Echo Dot setup process is choosing your output. It has a tiny inbuilt-speaker, effective enough when it comes to reading or responding to your voice commands, but if it’s music you’re looking to play, connecting an external speaker via Bluetooth or the 3.5 mm port is definitely recommended. 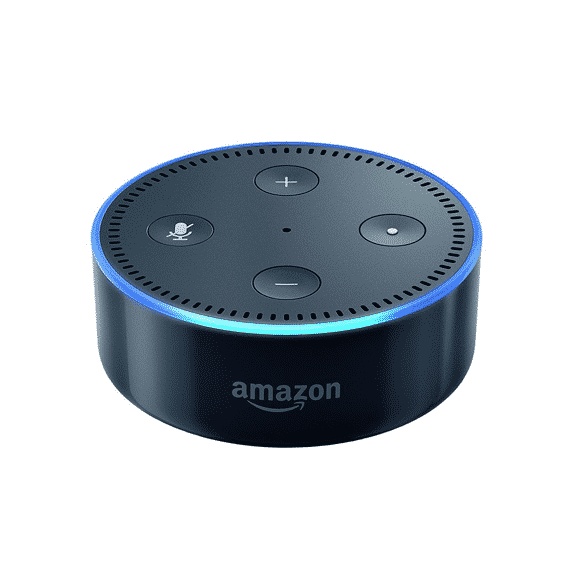 Just like the Echo, the Echo Dot too has incredible sound detection despite its tiny size - so long as there’s nothing interfering with your voice commands (like placing the Dot next to a stereo, for example), it will work just fine. The only disappointment, as mentioned above is the need for an external speaker. Not just this, switching between the inbuilt speaker and an external one is pretty cumbersome too. If you’ve plugged in a speaker using the jack, you’ll have to manually unplug it, and if it’s a Bluetooth speaker you can ask Alexa to disconnect it. The problem with having to use an external speaker is that unlike the Echo Dot, external speakers don’t remain on all throughout, which means you either have to have a speaker connected to the Dot continuously or find yourself left with the underperforming inbuilt speaker. While Alexa has added a whole lot of new skills and abilities to her old repertoire, some of these most definitely need to be upgraded. Although this can hardly be called a negative aspect of the Echo Dot itself since all devices use the same app to power them. Having said this, the Amazon Echo Dot is a great start for anyone who wants to welcome smart technology into their home. When it comes to music, the disappointment over the sound from the inbuilt speaker will quickly subside once you fall in love with how incredibly intuitive Alexa is, to the point of predicting what music you’d like to listen to, in no time. The Amazon Echo Dot is available for approx $49.99 (at the time of writing), making it easily the most affordable smart speaker with a full range of functions. This one is the premium version of Amazon’s smart speakers. With the Amazon Tap, Amazon has integrated the best features of the Echo, but also given it the advantage of a much more powerful audio output, as well as made it fully portable. Think of it as your high-quality portable Bluetooth speaker, except it is also powered by Alexa, allowing you to blend a solid music experience with the ease of getting work done using voice recognition. 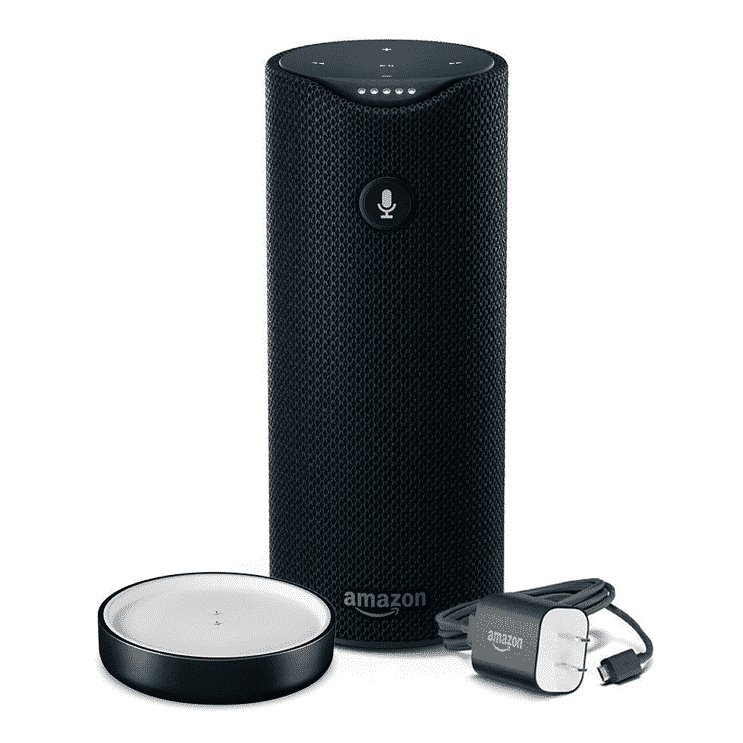 The Amazon Tap resembles the Echo, only it is slightly smaller and more sleekly built. It is available in a single black color, with no other color or finish options. It is also much lighter than the Echo, which definitely adds to the portability actor. The exterior of the tap is coated in mesh fabric, making it sturdier than the Echo. This sturdy exterior encases two 1.5-inch drivers, dual passive radiators and a battery that has up to 9 hours of battery life with a single charge. In addition to the standard volume, mute and listen buttons on its top, the Echo and the Echo Dot, the Tap comes with a Tap button on the front - it’s trademark. The power and Bluetooth sync buttons are on the lower side, towards the back. The Tap also has the 3.5 mm auxiliary jack as well as a micro-USB port for charging. Unlike the Dot with its cumbersome switching between the inbuilt and audio speaker, the Tap has a Bluetooth button, which allows for seamless switching between music and voice, plus it saves you the trouble of having to get everyone to download the companion app before they can use the Tap, which would have completely killed the whole point of portability. Like its other device siblings, connecting the Tap to your Wi-Fi as well as other devices is a breeze, though the Alexa app is only a tad better thanks to recent updates. What justifies the hefty price tag that this product comes with, is its audio output where it beats both, the Echo and the Echo dot. The inbuilt dual stereo speakers on the Tap allow you to play music that sounds like it is being played from a high-quality external speaker. Despite being a tad smaller than the Echo, its audio quality makes it perfect for listening to music on the go or using it in any way you might use a powerful external speaker. Do consider, that if you like your music really loud, or are extremely fussy about using a high-end speaker, you may find some tiny flaws with this device, but on the whole, it makes for a pleasant, seamless listening experience. 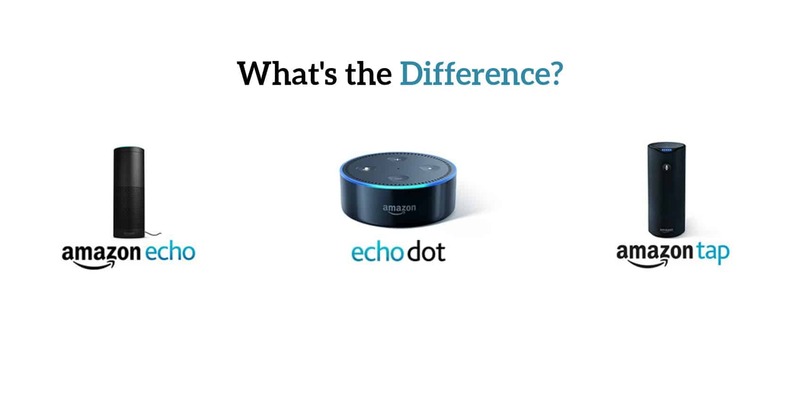 Other than the output, the Tap too has retained the excellent voice recognition found in both, the Echo and the Echo Dot. Essentially, what makes the Tap so unique and worth the price is that it effortlessly combines smart home technology, high-end artificial intelligence and a powerful sound output, all packed in a single device. In terms of both, portability and versatility, this one definitely ranks high. Expensive as compared to other Amazon smart speakers. Not many upgrades in terms of the Alexa app or its skills. Whether you get an Echo, a Dot or a Tap, there’s one thing you can always be sure of - you’re definitely adding a whole lot of quality and effectiveness to your home management, and your life’s most definitely set to be easier, and more entertaining. 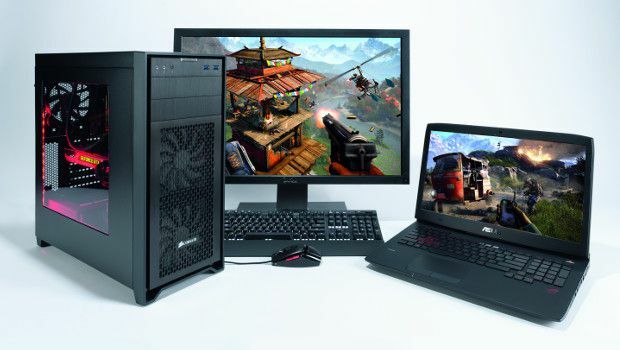 Gaming Laptop vs. Desktop: Which Should I Choose?